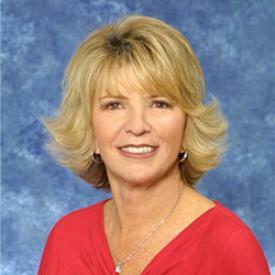 Dixie Long With FIRST TEAM REAL ESTATE, INC.
With many years of real estate experience, I specialize in selling homes in the Bolsa Landmark & Dutch Haven tracts. I'm the Top Producer in the Bolsa Landmark tract listing and selling more homes than any other agent. I'm dedicated to my clients by providing them real estate "Information on Demand." Along with First Team's 2.5 million dollar marketing budget, I'm the "key essential" in getting my clients home sold. Popular Bolsa Landmark Tract, Plan 24 This Executive Two Level 4 Bedroom, 3 Bathroom, Home is located on a cul-de-sac across from Central Park. Great curb appeal with Professional Landscape. Great Floorplan- Double Doors lead to a nice Entry and Large Living Room- Includes : Valued Ceilings, Beautiful Real Wood Flooring, a gorgeous Gas Fireplace with Mantle. Sliding Doors lead to the Backyard with artificial turf grass and a Bar that is wired for TV and a Natural Gas Barbeque. Good size Kitchen with Double Oven, lots of Cabinets and Tile Counter Tops. Formal Dining Area and eat-in Kitchen has Siding Doors that lead to the Front Patio for a great breeze. Powder Room Downstairs and a Large Separate Family Room includes a Wet Bar and plenty of room to watch TV, have a party/snuggle to a warm fire. A Patio Room has a Pool Table, could be used for Play room, Office or Exercise room. Upstairs Master Suite has a third Fireplace, Walk-in Closet, Dressing area and Beautiful Enlarged Tile Shower. Plus 3 more good size Bedrooms and a Full Bath. Walk to The Wetlands & Schools. Pride In Ownership Shows In This Approximately 2,465 Square Foot Property!!!!!! Extremely Unique Property On Edwards Hill. This Two Level Home has it all on a 17,367 square foot lot. The backyard is built for entertaining with a beautiful rock pool and spa with two waterfalls and a built-in rock slide. Built-in Barbeque. Several private sitting areas for sun bathing or just enjoying your coffee. Even a grassy area for the dog. Can't forget steps down to a sport court for a friendly game of your choice. Piped in music, water sounds and lighting. This beautiful Home has a great bright floor plan. 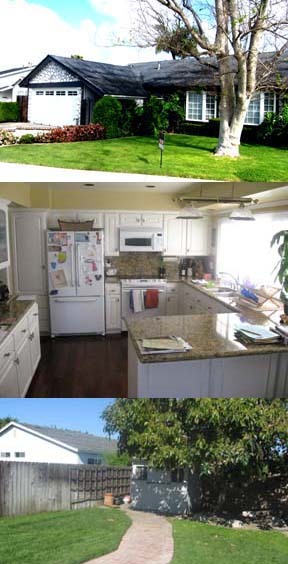 Kitchen overlooks the family room and has granite counters, center island, built-in appliances. Formal Dining Room and Living room, with fireplace that looks onto the backyard. 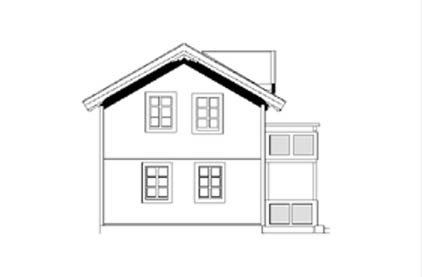 5 bedrooms, one bedroom downstairs can be office, Jack and Jill Bedrooms share a bathroom, another bedroom with bath. Master Suite includes a step-up sitting area with fireplace, Two separate closets, Large Bathroom has separate shower and tub. Gorgeous upgrades including travertine floors downstairs and wood floors upstairs, Beautiful wood staircase, New Duel air conditioning. Look in the closet under the stairs for wine storage and much more. 3 Car attached garage with separate doors. Great equestrian area Near Seacliff Elementary School, Beaches and Shopping. Relax In This Approximately 3,660 Square Feet Of Living Area!!!!!! Beautiful Town home in a great location in Huntington Harbour. This 3 Bedroom, 2.5 Bathroom Two Level Unit has a master suite with walk-in closet, a remodeled 3/4 bath, Granite counter, tile floor and shower. Two more large bedrooms and another remodeled bathroom. Kitchen has granite counters, newer cabinets, microwave and stove. Separate laundry room adjacent to the kitchen. Family room off the kitchen could be formal dining room. Living room has a fireplace and cathedral ceilings. All new windows, scraped ceilings and indirect lighting. Two patios, one in the front off the living room and one in the back next to your carport. Great location next to Trader Joe's, banks, restaurants and Beaches. There Is Approximately 1,562 Square Feet Of Living Area Here!!!!!! 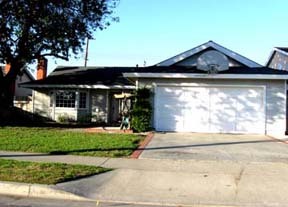 Very desirable Single Level Home in The Los Altos Neighborhood of Long Beach. Great Location in the tract, Great schools and near shopping. 3 Bedrooms and 2 Baths with a l car garage. Good size kitchen next to your separate dining area. Very large yard, lots of room for a pool. Enjoy Approximately 1,197 Square Feet Of Living Area In This Well Priced Jewel!!!!!! Beautiful remodeled Bolsa Landmark 4 Bedroom, 2 Bathroom Two Level Home, plan 16. Great curb appeal with professional landscape, located inside the track on a cul-de-sac. Beautiful Mahogany custom front door, travertine tile entry leads to the living room with a marble fireplace, mantle and gas starter. The remodeled kitchen includes granite counter tops, Newer Maple cabinets, all stainless steel kitchen aid appliances, and a large breakfast island with hardwood flooring open to dining/family room and large backyard (plenty of area for a pool) with covered patio. New wood fence across the back providing privacy. Large Master suite includes recessed lighting and bathroom with tile shower and sink. Upstairs are 3 more bedrooms and another full bath. all bedrooms have recessed lighting and ceiling fans. This Home is across the street from Central Park as well as Beaches, excellent schools and shopping. Pride Prevails In This Approximately 1,647 Square Foot Property!!!!!! Rarely on the market. Beautiful Large 3 Bedroom Two Level Townhouse in Huntington Creek! Lots of upgrades include 3 remodeled bathrooms with tile showers, All tile flooring downstairs, indirect lighting all around, crown molding to mention a few. Great floor plan has a large dining area near the kitchen and leads to a nice patio that leads to the two car garage. Walking distance to 5 Points Shopping Center, Restaurants and three miles to Huntington City Beach. There is a creek that runs through the complex and a pool as well as a clubhouse. It Has More Than 1,300 Square Feet Of Living Area!!!!!! Bolsa Landmark Plan 26 One Bedroom and 3/4 Bath Downstairs, Master Suite, Two Bedrooms and Two Full Baths Upstairs. Nicely Landscaped Yards with a 3 Car Garage. Very Popular Floor Plan with Kitchen leading to the Family Room with Cozy Fireplace and Formal Dining Room. Double Door Entry on to the Living Room which includes Cathedral Ceilings and Fireplace. Master Suite Also Has A Fireplace and Lots Of Closet Space, Full Bath With Double Sinks and Dressing Area. This Home Has Been Very Well Maintained, But Could Use Some Updating. 1/2 Block To The Bolsa Chica Wetlands. 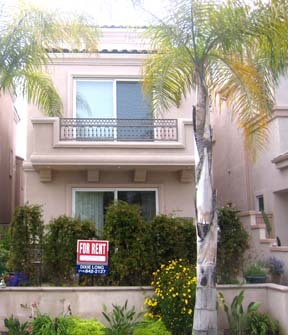 Located near The Beach and Seacliff Elementary and Award Winning Schools. Enjoy More Than 2,600 Square Feet Of Spacious Living Area Here!!!!!! Desirable Large Single Level 4 Bedroom, 2 Bathroom Home in The Meadowlark Golf Course Neighborhood. Double door entry from the Atrium. Living Room has a fireplace and picture window includes curtains that look onto the neighborhood. Kitchen with newer double oven and 5 burner stove and a large copper fan that looks at the dining area which could accommodate a large formal dining table. A large bonus room includes a bar and brick fireplace. The master suite has doors leading to the back yard and full bath. Three other bedrooms, one was used as an office and has a sliding door to the atrium. Two car garage has pull down stairs to the attic for additional storage. Good location on a cul-de-sac. Great curb appeal with lots of green grass and plants. You'll Get Approximately 1,886 Square Feet Of Pristine Living Area Here!!!!!! Highly Desirable Guard Gated Pacific Ranch. Across from The Huntington Beach Civic Center, Huntington Beach High School, Shopping and Huntington City Beach, with Multiple pools, fountains and club houses. This has condo has been freshly painted. 2 Bedroom, and 2 Baths. The Master Bedroom has access to patio that looks at the green belt. The Master bath has dual closets and dual sinks. Second Bedroom has 3/4 hall Bathroom. Large living room has fireplace and access to patio. Dining room is attached to living room for great entertaining. Inside laundry. Direct access to garage through patio. You Get Approximately 1,164 Square Feet Of Living Area Here!!!!!! THIS 2 BEDROOM, 1 BATHROOM HUNTINGTON GARDENS CONDO HAS SOME UPGRADES IN APPROXIMATELY 796 SQUARE FEET THAT INCLUDES WHITE RE-FACED KITCHEN CABINETS AND NICE COUNTERS. BUILT-IN MICROWAVE, RAISED CEILING WITH INDIRECT LIGHTING. CUSTOM PAINT. CROWN MOLDING AND MORE. GOOD LOCATION NEAR LOTS OF SHOPPING LIKE BELLA TERRA MALL. What A Good Deal It Is!!!!!! HARD TO FIND A SINGLE LEVEL 4 BEDROOM, 2 BATHROOM HUNTINGTON CREST HOME WITH APPROXIMATELY 1,902 SQUARE FEET. THE LARGE FAMILY ROOM AND LIVING ROOM HAVE DOUBLE SLIDING VINYL GLASS DOORS THAT OPEN TO THE PATIO AND POOL YARD. FORMAL DINING ROOM OFF THE KITCHEN. LARGE MASTER SUITE HAS 2 BIG MIRRORED CLOSET DOORS, LARGE SHOWER AND DOUBLE SINKS. SECOND BEDROOM IS ALSO VERY LARGE. KITCHEN HAS TILE COUNTERS, STAINLESS SINK, DISHWASHER, AND ELECTRIC STOVE TOP, ALSO, A DOOR TO FRONT PATIO WITH BAR-BE-CUE. LIVING ROOM HAS A FIREPLACE AND SCRAPED CEILINGS WITH CROWN MOLDING. I'm Talking Real Value Here!!!!!!! FIRST TEAM REAL ESTATE, INC. NOW LEASED!!!!!!!!!!!!!!!!!!!!!!!!!!!!!!!!!!!!! WALK TO THE BEACH, NEAR DOWNTOWN, RETAIL AND RESTAURANTS. NEWER EXECUTIVE THREE BEDROOM, FOUR BATHROOM HOME. EXTRA LARGE OFFICE/LOFT WITH BATH ON TOP LEVEL. MASTER SUITE HAS SEPARATE SHOWER & JAZZ TUB. GOURMET KITCHEN HAS ISLAND WITH GRANITE COUNTERS OVERLOOKS FAMILY ROOM. LIVING ROOM AND DINING ROOM ON FIRST LEVEL. FAMILY ROOM/BONUS ROOM ON SECOND FLOOR WITH FIREPLACE. MUST SEE TO APPRECIATE. SORRY NO PETS. Best Of All It Has Approximately 2,600 Square Feet Of Living Space!!!!!!! 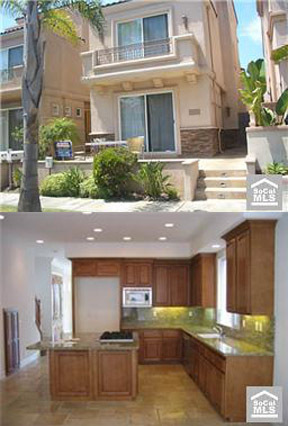 BEAUTIFUL CUSTOM DOWNTOWN HUNTINGTON BEACH THREE BEDROOM, FOUR BATHROOM HOME. ONLY 5 BLOCKS FROM THE BEACH.LIVING ROOM AND FORMAL DINING AREA HAS DRAMATIC SOARING CEILING AND FIREPLACE.FAMILY ROOM OFF GORMET KITCHEN WITH GRANITE COUNTERS,STAINLESS STEEL STOVE AND REFRIGERATOR, ON THE MAIN FLOOR. UPSTAIRS IS THE LARGE MASTER SUITE WITH WALK-IN CLOSET, SEPARATE TUB AND SHOWER.ANOTHER FAMILY ROOM WITH FIREPLACE. TWO JACK AND JILL BEDROOMS THAT SHARE A FULL BATH. THIRD LEVEL HAS LARGE OFFICE LOFT WITH BALCONY AND SEPARATE 3/4 BATH. TWO CAR GARAGE AND 2 LARGE PATIOS. I've Priced This Very Well!!!!!!!!!!!!!!!!!!! FIRST TEAM REAL ESTATE, INC. NOW LEASED!!!!!!! NICE TWO BEDROOM, 1 BATHROOM HARBOR HEIGHTS VILLAS CONDO IN A GOOD AREA. 2 BEDROOM UPSTAIRS. NEWER CARPET AND TILE FLOORING. FRESHLY PAINTED. KITCHEN LOOKS ONTO THE LIVING ROOM. EAT IN KITCHEN. ENCLOSED PRIVATE PATIO. SINGLE ENCLOSED GARAGE WITH REMOTE AND STORAGE. COMPLEX INCLUDES POOL, SPORTS COURT, RV AND BOAT PARKING. BEAUTIFULLY LANDSCAPED. You Can Lease It Now!!!!!! THIS FOUR BEDROOM, THREE BATHROOM GOLDENWEST PARK HOME HAS ALOT TO OFFER. REMODELED KITCHEN WITH GRANITE COUNTER TOPS, CHERRY STAINED CABINETRY AND KITCHEN AID APPLIANCES. EXPANSIVE TRAVERTINE FLOORS THROUGHOUT. VERY LARGE MASTER SUITE WITH LOTS OF CLOSETS, CATHEDRAL CEILINGS AND 3/4 BATH. ALL TWO OF THE BATHS HAVE BEEN UPDATED WITH CHERRY STAINED CABINETS AND GRANITE COUNTERS. UPSTAIRS HAS A BIG BONUS ROOM, BEDROOM WITH WALK-IN CLOSET AND FULL BATH WITH JACUZZI TUB. ALSO, ANOTHER ROOM COULD BE PLAY AREA/OFFICE. FINISHED TWO CAR GARAGE HAS 220 V OUTLETS. LARGE CORNER LOT. STEPS TO GLEN VIEW PARK AND GREER PARK WHICH ARE LOCATED IN THE TRACT. It Has Approximately 2,500 Square Feet Of Living Space!!!!!! FIRST TEAM REAL ESTATE, INC. NOW LEASED!!!!!! BEAUTIFULLY REMODELED 4 BEDROOMS,(TWO MASTER SUITES.ONE DOWNSTAIRS AND ONE UPSTAIRS). 3 BATHS. IN A TERIFIC NEIGHBORHOOD, ON A CUL-DE-SAC, INSIDE THE TRACT. ENCLOSED ATRIUM ENTRY WITH A SKYLIGHT. GORGEOUS WOOD FLOORS THROUGHOUT, FORMAL LIVING ROOM WITH A CUSTOM TILED FIREPLACE, CROWN MOULDING, NEWER WINDOWS AND FRENCH DOOR SLIDERS. GOURMET KITCHEN WITH GRANITE COUNTERTOPS AND STAINLESS STEEL APPLIANCES. GREAT SCHOOLS AND JUST STEPS TO THE MEADOWLARK GOLF COURSE. It's A Real Jewel Of A Property!!!!!! THIS IS A BEAUTIFUL, WELL MAINTAINED AND SPACIOUS 4 BEDROOM, 2 BATHROOM MEADOWLARK HOME. LOCATED INSIDE THE TRACT ON A CUL-DE-SAC IN A TERRIFIC NEIGHBORHOOD. ONE BLOCK FROM MEADOWLARK GOLF COURSE. YOU ENTER THIS HOME,THAT IS APPROX.2,000sq' ON ONE LEVEL, THRU A TROPICAL ANTRUIM. UPGRADES INCLUDE SCRAPED CEILINGS WITH INDIRECT LIGHTING. ALL NEW WINDOWS. PERGO FLOORS IN THE TRAFFIC AREAS. TWO FIREPLACES. A LARGE DEN HAS BEEN ADDED ON, APPROX. 360sq'.INCLUDES A WET BAR, CATHEDRAL CEILINGS AND A FIREPLACE. THEY'LL EVEN TAKE A SMALL DOG. It Shows Like The Model!!!!!! FIRST TEAM REAL ESTATE, INC. Desirable Large Single Level 4 Bedroom, 2 Bathroom Home in The Meadowlark Golf Course Neighborhood. Double door entry from the Atrium. Living Room has a fireplace and picture window includes curtains that look onto the neighborhood. Kitchen with newer double oven and 5 burner stove and a large copper fan that looks at the dining area which could accommodate a large formal dining table. A large bonus room includes a bar and brick fireplace. The master suite has doors leading to the back yard and full bath. Three other bedrooms, one was used as an office and has a sliding door to the atrium. Two car garage has pull down stairs to the attic for additional storage. Good location on a cul-de-sac. Great curb appeal with lots of green grass and plants. NO LONGER ON THE MARKET!!!!!! VERY NICE, BOLSA LANDMARK PLAN 20. ALL FOUR BEDROOMS UPSTAIRS. LARGE MASTER SUITE HAS WALK-IN CLOSET, DOUBLE SINKS, UPDATED SHOWER AND VANITIES. CEILINGS HAVE BEEN SCRAPPED AND INDIRECT LIGHTING. CROWN MOLDING AND BASEBOARDS. ALL NEW WINDOWS. ALL SIX-PANEL DOORS. NEWER TILE ROOF. NEWER BEIGE CARPET. KITCHEN HAS TILE COUNTERS AND BAY WINDOW. SEPARATE FORMAL DINING ROOM, COULD BE USED FOR OFFICE OR PLAY ROOM. HUGE LOT ON A CUL-DE-SAC. BIG BACKYARD HAS PATIO AND GRASSY AREA, AND BLOCK WALL FENCE. A 3 CAR GARAGE AND A GOOD LOCATION INSIDE THE TRACT. SITU ATED IN A PRIME AREA NEAR CENTRAL PARK, AWARD WINNING (K-12) SCHOOLS AND BEACHES. This Well Cared For House Has Around 2,071 Square Feet Of Living Space!!!!! FIRST TEAM REAL ESTATE, INC. SOLD!!!!!! Now You Can Purchase This Two Level Bolsa Landmark Plan 20 View Home With 4 Bedrooms All Upstairs, 3 Bathrooms And Approximately 2,071 Square Feet Of Living Space. The Large Master Suite Has A Walk-In Closet, A Dressing Area And A 3/4 Bathroom. There's Even A Newer Furnace, A Roof And Paint. Enjoy The Quiet Backyard With Mature Landscaping. Don't Forget About Your Very Own 3 Car Garage. You're Situated In The Award Winning Hope View Elementary School Attendance Area. Walk Across Edwards To Central Park, The Dog Park, Alice's Breakfast In The Park Restaurant And Shipley Nature Center. You Are Also Near The Bolsa Chica Wetlands And The Beaches. Best Of All It's Been Cared For By The Original Owner!!!!! FIRST TEAM REAL ESTATE, INC. CURRENTLY LEASED!!!!! This Completely Remodeled 4 Bedroom, 2 Bathroom Single Story Home Has Approximately 1,450 Square Feet Of Living Space. Amenities Include: A Two Car Garage With Storage Cabinets, A Remodeled Kitchen In 2007, New Hardwood Floors, New Windows And Sliding Doors. Enjoy The Bay Windows, New Paint And A Lot Of Approximately 6,600 Square Feet In Size. The Yards Are Landscaped With Grass And Front As Well As Back Sprinklers. Note: You Have The Best Neighbors In The World Here. Walk To Hope View Neighborhood Park And Award Winning Elementary School. Bolsa Landmark Plan 18 4 Bedroom, 3 Bathroom two story home. This is not a short sale ! Just Priced Right. It has been painted inside and out. Dual Pane Tinted Windows. The Kitchen has been Remodeled with Granite Counters. The Ceilings have been scraped and painted with can Lighting. This is a popular floor plan with one Bedroom and 3/4 Bath Downstairs and the Kitchen opens to the Family Room. Living Room has Fireplace, Cathedral Ceilings and Separate Formal Dining Area. Newer High-End Composition Roof in 2005. What A True Bargain For A Sensational House!!!!! MY NEWEST LISTING IS ON THIS E XPANDED SINGLE STORY DUTCH HAVEN MARINA HOME. LOOK AT THE SQUARE FOOTAGE (1,900)! THERE'S AN ADDED ROOM OFF OF THE KITCHEN THAT HAS FRENCH DOORS LEADING TO THE BACKYARD. THE SIDE OF THE HOUSE HAS BEEN ENLARGED MAKING TWO BED-ROOMS AND A BATH LARGER. AN ADDED MASTER SUITE HAS A WALK-IN CLOSET AND A LARGE FULL BATH. BOTH FULL BATHS HAVE BEEN REMODELED WITH TILE FLOORS. ALL FLOORS HAVE EITHER NEW CARPET, TILE OR BEAUTIFUL WOOD. THE LIVING ROOM HAS A BAY WINDOW AND A FIREPLACE. ALL CEILINGS HAVE BEEN SCRAPPED AND REFINISHED. THE KITCHEN IS ORIGINAL. THE FENCE ON TWO SIDES ARE VINYL AND BLOCK WALL. ACROSS THE BACK IS A SKATEBOARD RAMP IN THE BACK YARD COULD STAY OR NOT. YOU EVEN GET A 2 CAR GARAGE. IT HAS LOTS OF CHARM!!!!! FIRST TEAM REAL ESTATE, INC. SOLD!!!!! What A Charming California Classic Single Level Home This Is That Sits At The Finish Of A Cul-De-Sac In A Choice Neighborhood. There Are 3 Bedrooms, 2 Bathrooms And Approximately 1,345 Square Feet Of Living Space. The Master Suite Has A Remodeled Bathroom With A Separate Stall Shower And Tub. There's Even A Side Yard And A Back Yard. The Curved Driveway Leads You To Your 2 Car Garage. Best Of All Is That Your Next To Golden View Farm And Elementary School. It's All About Location Here!!!!! It's A Bargain And Located Next To Huntington Harbour Is This Harbor Heights Villas Two Story Townhome. There Are 2 Bedrooms, 1 Bathroom And Approximately 837 Square Feet Of Living Space. Amenities Include: New Carpet In Both Of The Bedrooms, New Pergo Flooring Downstairs, A Large Private Patio With A Lemon Tree And A One Car Garage With Extra Parking. You're Situated In A Good Association Where Only $205 Dollars A Month Gives You Access To A Community Swimming Pool, A Clubhouse, Affordable Recreational Vehicle And Boat Parking. Just Steps To Shopping, Restaurants And Near Award Winning Harbor View Elementary, Marine View Junior High And Marina High School. Walk To The Beach Too. This Is Not On Leased Land!!!!! This Bolsa Landmark Plan 18 Two Story Home Has Been Completely Remodeled In The Previous Two Years With All Of The Latest Features. There Are 4 Bedrooms, 3 Bathrooms And Approximately 1,992 Square Feet Of Living Space. Amenities Include: Scraped Ceilings, Indirect Lighting, Travertine Flooring, A Custom Fireplace, All New Windows, New Crown Molding, Baseboards, A Totally Remodeled Kitchen With New Cabinets, Granite Counters, Stainless Steel Appliances, A Master Suite With A Separate Stall Tiled Shower And A Spa Tub. The Double Marble Counters Show Well. All Of The Baths Have Been Refinished. Best Of All Is The Large Corner Lot With A Salt Water Gated Pool And Spa In Addition To A Patio Deck And A Grass Area. There's Even A 3 Car Garage. Walk To Central Park And The Bolsa Chica Wetlands. What A Popular Bolsa Landmark Plan 26, South Of Talbert Two Story Home This Is. There Are 4 Bedrooms (1 Bedroom And A Bathroom Are Downstairs), 3 Total Bathrooms And Approximately 2,617 Square Feet Of Living Space. Amenities Include: A Gourmet Kitchen Which Has Black Counters And White Cabinets, A Neat Living Room That Has Cathedral Ceilings And A Fireplace, A Formal Dining Room, A Large Family Room That Is Off Of The Kitchen With A Fireplace And Crown Molding. You Even Get A Subterranean Conversation Area With A Fireplace. The Wet Bar And Wine Cabinet Show Well. Relax In Your Master Suite Which Even Has A Fireplace. Great Curb Appeal Adorns This Property With Lots Of Palm Trees. The Back Yard Comes With A Swimming Pool, A Spa, A Built-In Barbecue, A Bar, A Refrigerator, A Sink And A Firepit. The Attached 3 Car Garage Is Very Nice. Best Of All Is The Inside Tract Location And You Are Within The Seacliff Elementary School Attendance Area. You Won't Find A Better House On The Market Than This!!!!! This Is Such A Nice Former Model Two Story Home In The Boardwalk Estates. There Are 4 Bedrooms, 3.5 Bathrooms And Approximately 3,388 Square Feet Of Neat Living Space. Amenities Include: A Downstairs Office With Built-In Desks, Austrian Wood Walnut Flooring With A Custom Distressed Finish, Custom Wood Coverings, Surround Sound Throughout, Recessed Ceilings With Indirect Lighting, Crown Molding And Baseboards, A Gourmet Kitchen With Top Of The Line Stainless Appliances, Granite Counters With A Large Middle Island As Well As An Upstairs Laundry Room. The Master Suite Has A Separate Marble Shower And A Tub, A Walk-In Closet And Much More. Enjoy Your 2 Car Garage. Just 2 Blocks To The Ocean And Near Excellent Schools. You Won't Locate A Better Residence In This Price Range Than Here!!!!! It's A One Of A Kind Property In The Bolsa Landmark Neighborhood Of West Huntington Beach. It Sits On A 9,000 Square Foot Pie Shaped Lot At The Finish Of A Cul-De-Sac. This Is A Gardener's Delight. A Fully Equipped 300 Square Foot Greenhouse And Tremendous Gardens Surround This Two Story House. You Get 3 Bedrooms, 2.5 Bathrooms And Approximately 1,900 Square Feet Of Nice Living Space. You Can Convert The Greenhouse In To A Detached Home Office/Mother-In Law Quarters. If You Don't Want To Do That You Can Tear It Down And Put A Large Swimming Pool In. New Carpet Was Added To The Property In June Of 2007. Enjoy All Newer Dual Pane Windows And Slider Doors Throughout. The Roof Was Replaced In 2005. It's Neat To Have A 3 Car Attached Garage And Recreational Vehicle Access. Walk To The Bolsa Chica Wetlands And Central Park. What A Cozy Residence This Is!!!! Walk To The Beach And Near Downtown Retail And Restaurants. This Is A Newer Executive Three Story Home That Has 3 Bedrooms, 3.5 Bathrooms And Approximately 2,600 Square Feet Of Living Space. Amenities Include: An Extra Large Office With A Bathroom, A Master Suite That Has A Separate Shower And A Jacuzzi Tub, A Gourmet Kitchen With An Island And Granite Counters Off Of The Family Room, A Bonus Room On The Second Floor With A Fireplace And A 2 Car Attached Garage. Best Of All Is The Location. You Must See This To Appreciate It!!!!! View The Mountains And Valley Of Lights From This Wonderful Two Story Entertainer's Delight Anaheim Hills Home!!!! With 4 Bedrooms, 3 Bathrooms, Approximately 3,290 Square Feet Of Living Space On A Good Sized Lot Of Approximately 6,930 Square Feet This House Has Lots Of Charm. Amenities Include: A Chef's Custom Kitchen, Top Of The Line Appliances, Dual Dishwashers, A Walk-In Pantry, Custom Cabinetry, All New Windows And Doors As Well As A Large Formal Dining Room With A Coffered Ceiling. The Master Suite Has His And Hers Closets. Downstairs You'll Find An Office Or Guest Room. Enjoy Parking In The 3 Car Attached Garage With Lots Of Storage And Cabinets. You Also Get A New 5 Ton Air Conditioner. Relax In The Large Lap Swimming Pool And Spa With A Proof Automatic Safety Cover. Situated In A Great Area Near Excellent Schools!!!! You Must See This Turn Key Residence!!!! You Can Now Purchase This Perfect Family Two Story Bolsa Landmark Home. There Are 3 Bedrooms, 2.5 Bathrooms And More Than 1,900 Square Feet Of Living Space. Amenities Include: Newer Vinyl Windows, Sliders And Curtains Throughout, All Scraped And Refinished Cathedral Ceilings, Crown Molding Throughout And Large Baseboards. You Also Get Large Tile Flooring In The Living Room As Well As The Family Room, The Kitchen And The Hallway. Relax Next To The Cracking Fireplace In The Living Room. Entertain Yourself In The Sparkling Swimming Pool And Spa. You'll Even Have A Side Yard With A Covered Patio And A Soothing Waterfall. Best Of All Is The 3 Car Attached Garage. Just Minutes To The Surf And Sand. This Is Such A Wonderful Deal!!!! Here Is A Condo That Shows Like A Model From Pottery Barn. It Has Nice Custom Colors And A Decor. This Property Features 2 Upstairs Bedrooms, 2.5 Bathrooms And Approximately 1,297 Square Feet Of Living Space. Amenities Include: Granite Counters In The Large Kitchen And Baths, A Bar Counter And A Large Dining Room. The Living Room Comes With A Fireplace And Cathedral Ceilings Which Look At The Swimming Pool And A Sensational Recreation Room. There's Even A Good Sized Two Car Attached Garage With Lots Of Cabinet Space. Situated In A Great Lake Forest Location!!!! This Single Story South Shore Home Has Just Been Painted On The Inside And Outside. It Features 2 Bedrooms, 1 Bathroom, Approximately 897 Square Feet Of Living Space And It Sits On A Large Lot Of Approximately 6,000 Square Feet In Size. Amenities Include: New White Kitchen Cabinets, A New Stainless Steel Hood, A Microwave And A Sink. You Also Get New Beige Carpet, A Good Sized Backyard With A Blockwall And A 2 Car Attached Garage That Has A Door That Leads To The Backyard. Located In A Great Neighborhood Near Everything And It's Only A Few Miles To The Beach!!!! The Best Buy In Town!!!! Here Is A Popular Bolsa Landmark Two Story Plan 18 Home That Offers A Great Floor Plan. This Property Has 4 Large Bedrooms, (One Which Is Downstairs), 3 Bathrooms And Approximately1,998 Square Feet Of Living Space. Amenities Include: Beautiful Hardwood Floors, Oak Banisters And Door Frames And A Family Room Off Of The Kitchen That Looks At The Huge Back Yard With A Sparkling Swimming Pool And Spa. You Even Get A 3 Car Attached Garage And Recreational Vehicle Access Too. Situated In A Great Location On A Cul-De-Sac Street. Close To The Bolsa Chica Wetlands And The Beach. You're Also In The Seacliff Elementary School District Attendance Area And Huntington Beach High School Is Another Excellent School As Well That Your Kids Can Go To. Hurry, This Property Is Going To Sell Quickly!!! You Have To See This Cute Dutch Haven Marina Single Story Home With An Interior Tract Location. It Features 3 Bedrooms, 2 Bathrooms And Approximately 1,147 Square Feet Of Living Space. Amenities Include: A Remodeled Kitchen With Granite Counters, Maple Cabinets And Recessed Lighting. The Master Bathroom Has Been Completely Remodeled With Travertine And Granite. You Also Get Hardwood Floors, New Doors, Baseboards And Paint. There Is Even A Two Car Attached Garage. Walk To The Bolsa Chica Wetlands, A Neighborhood Park, The Beach And Some Award Winning Schools. Ocean Breezes Abound This Exquisite House!!! Great Is The Word That Best Describes This Two Story Mission Viejo Entertainer's Home!!!! It Features 4 Bedrooms, 2 Bathrooms And Approximately 1,921 Square Feet Of Living Space. Amenities Include: A Large Backyard With A Swimming Pool, A Spa And A Firepit. The Kitchen Has Corian Countertops And A Bay Window. There Is A Nice Formal Dining Room With French Doors That Lead To The Backyard. The Living Room Has Cathedral Ceilings, A Bay Window And A Brick Fireplace. Downstairs You'll Find An Office Which Could Be Used As Your 4th Bedroom. There Are Three Large Bedrooms Upstairs. Enjoy The Wood Entry And A Sensational Stairway. Situated In A Good Inside Tract Location. Walk To All Three Schools. No Association Fees Or Mello Roos!!!! Best Of All There Is A View Too!!!! Enjoy This Beautiful Well Maintained One Story Coral Shores Home In A Great Huntington Beach Neighborhood. There are 3 Bedrooms, 2 Bathrooms and Approximately 1,552 Square Feet of Living Space on a Large Cul-De-Sac Inside Tract Lot of Approximately 6,500 Square Feet with Recreational Vehicle Access. Amenities Include: a Remodeled Kitchen that has Custom Oak Cabinets, Tile Counters, Newer Appliances, a Large Family Room Approximately 15x21 with a Cathedral Ceiling and a Fireplace. Both Bathrooms have been Updated with Tile Floors, Counters, Tub and Shower. There's a Very Nice Swimming Pool and Spa with a Covered Patio in the Back Yard. You even get a Front Enclosed Patio too. So Close to Excellent Award Winning Schools, Central Park and Much More!! It's Truly A Must See!! Great Curb Appeal Surrounds This Single Story Dutch Haven Marina Home. It Is Professionally Landscaped and Shows Magnificently. There were originally 4 Bedrooms in the House, but 1 was changed into an Office with Garage Access. There are 2 Updated Bathrooms with Marble Counters and Tile Flooring. This Property has Approximately 1,303 Square Feet of Living Space. Amenities Include: Double Pane Windows Throughout, a Nice Kitchen that has Lots of Cabinets, Tile Counters and Tile Flooring. It even has a Built-In Stove and a Microwave. The Seller is Going to Give The New Owner a $3,000 Dollar Carpet Allowance. Walk to Award Winning Hope View Elementary School and a Neighborhood Park!! Beautiful is One Word that Describes This Bolsa Landmark Home. There are 4 Spacious Bedrooms and 2.5 Nice Bathrooms with Approximately 2,114 Square Feet of Living Space. Situated on a Large Oversized Lot of Approximately 6,300 Square Feet. Highlights Include: a Separate Formal Dining Room, Newer Tile Flooring in the Entry and Family Room, Fresh Paint on the Inside, Gorgeous New Berber Carpet, a New Composition Roof and all of the Bedrooms are Upstairs. You also get a 3 Car Attached Garage and a Big Open Backyard. This Place has Great Curb Appeal!! Close to Excellent Award Winning Schools!! Looking for a Romantic Tudor Home with French Doors and Windows in The Prestigious Seacliff on the Greens Community? Here it is. This is a Very Nice Property with 4 Bedrooms, 3.5 Bathrooms, Plus a Bonus Room. There is a Total of 3,876 Square Feet of Gracious Living Space. Amenities Include: a Lovely Courtyard and Spiral Staircase Entry, a 3 Car Garage, Light Hardwood Flooring Throughout the Foyer and Kitchen, a Large Living Room with Soaring Vaulted Ceilings and a Limestone Fireplace with Decorative Tile Inlays. You also get an Oversized Formal Dining Room, Recessed Artisan Custom Lighting Throughout and Built-In Surround Sound Speakers for Entertainment. The Gourmet Kitchen has Dual Ovens, Dual Dishwashers and a Separate Breakfast Nook. There are Custom Shutters in 3 of the Bedrooms and in the Bonus Room. Also Included: is an Intercom, Custom Closet Organizers, a Large Master Suite with a Jacuzzi Tub, a Separate Shower and a Fireplace. There is Central Vacuum. Enjoy the Large Backyard that Opens to Expansive Greenbelt Area and Golf Course Views. Located on a Quiet Cul-De-Sac with Incredible Curb Appeal. Situated in a 24 Hour Security Gated Community adjacent to Seacliff Country Club where Members Can Play Tennis or a Game of Golf. Here is a Nice 2 Bedroom, 2 Bathroom Huntington Terrace Unit with Approximately 1,500 Square Feet of Living Space. This Property comes with Lots of Extra Storage in the Attic and a Large Extra Room Next to the 2 Car Attached Garage Plus a Small Computer Room. There are Shutters, Vaulted Ceilings and Fans Throughout. Enjoy the White Washed Wood Floors in the Entry, Kitchen, and Stairs. The Big Skylight Makes this Unit Bright. There's a Great Kitchen that has Corian Counters, a Microwave and a Garden Window. The Master Bathroom has a New Tile Shower and Floor. Relax on the Large Patio Deck. Situated in a Sensational Association with a Community Swimming Pool, Spa and Clubhouse. Walk to Harbour View Elementary School and The Huntington Harbour Mall!! Sensational is The Word that Describes This Beautiful Bolsa Landmark Plan 18 Home on a Cul-De-Sac Location. There are 4 Bedrooms (One of Which is Downstairs), 3 Bathrooms and Approximately 1,992 Square Feet of Living Space. This House has RV Access!! Notice the Great Curb Appeal in the Front and Back of this Showplace. Amenities Include: a Remodeled Kitchen with New Maple Cabinets, Tile Counters, Newer Appliances, a Bay Window, Scraped Ceilings, New Base Boards, 6 Panel Doors, New Vinyl Windows Throughout, Shutters in all Bedrooms, a Master Suite with Granite Counters, Double Sinks and Maple Cabinets. The Large Lot Size is Approximately 7,904 Square Feet. Enjoy the 3 Car Attached Garage!! Plus Much More. Nearby to Award Winning Hope View Elementary School, Central Park, The Bolsa Chica Wetlands and The Beach. What More Could You Want? This Property Has It All!! FIRST TEAM REAL ESTATE, INC. SOLD!! 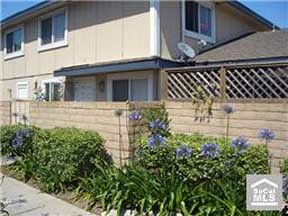 Here is a Nice Condo in a Smaller Complex in Lomita. There are 2 Bedrooms, 3 Bathrooms and Approximately 1,328 Square Feet of Living Space. Amenities Include: 3 Large Master Suites with Your Own Bath. a Lower Level Large Room with a Laundry Room and Bath Plus Two Master Bedrooms Upstairs. You also get a Great Kitchen, a Large Pantry, a New Stove and Microwave, Tile Counters and Flooring Plus a Nice Living Room which Includes a Brick Fireplace. There's also Access to the Two Car Garage From Inside This Unit. Very Low Homeowner's Dues of $140 Dollars A Month. Close to Shopping and a Freeway! Enjoy a Spectacular Bolsa Landmark Plan 18 Pool Home in a Great Neighborhood of Huntington Beach. There are 4 Bedrooms (1 of which is Downstairs), 3 Bathrooms and Approximately 1,992 Square Feet of Living Space. Highlights include: a Large Living Room that includes Cathedral Ceilings, a Fireplace, Wood Shutters and Newer Carpet. The Family Room is off of the Kitchen that Overlooks the Beautiful Backyard that has a Swimming Pool, Spa and it's on an Oversized Lot. Also, included is a Nice Kitchen with White-Washed Cabinets and Corian Countertops. There's Tile Flooring in the Entry and Kitchen. A Private Master Suite has a Large Dressing Area and a 3/4 Bath with Lots of Closets. You also get a 3 Car Attached Garage!! Situated in a Marvelous Area, Close to Central Park, Award Winning Schools and The Beach. Here is an Upgraded Plan 18 Bolsa Landmark Home! There are 4 Bedrooms, 3 Bathrooms, (1 Bedroom and a Bathroom with a New Custom Shower are Downstairs) and Approximately 1992 Square Feet of Living Space. Sensational Highlights are: Light Hardwood Flooring in the Living Room, Family Room and Dining Room, Tile Flooring in the Entry and Kitchen, Crown Molding, Custom Baseboards and Panel Doors. You also get Indirect Lighting and Shutters throughout the House. You'll also Find Newer Appliances, French Doors that lead to the Backyard, Oak Stairs and a Railing, Waffle Beige Carpet, (1 Year Old) plus a Light Steel Roof (1 Year Old). A 3 Car Attached Garage is included too!! 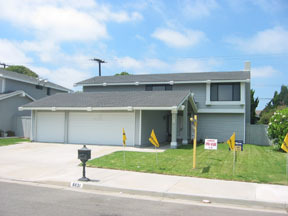 Located in a Great Neighborhood Near Schools, Parks, The Bolsa Chica Wetlands and The Beach. Priced For a Quick Sale!! So Hurry!! Enjoy a Beautiful Westminster Home in a Good Location! There are 4 Bedrooms, a Den, 3 Full Bathrooms and Approximately 2400 Square Feet of Living Space. Highlights include 2 Master Suites, the one Upstairs is Approximately 700 Square Feet. You'll also find a Huge Walk-in Closet in the Upstairs Master Suite and a Separate Shower and Tub plus Dual Sinks. The Living Room and Family Room have been Extended and incorporates a Large Bay Window. There are Scraped Ceilings, 2 Skylights in the Living Room, Double Leaded Front Doors plus a New Roll-up Garage Door. The Yards are Professionally Landscaped. You also get a Shake Aluminum Roof, a Large Storage Attic and Updated Bathrooms. Situated in the Perfect Neighborhood Near Shopping, Dining, Schools and Parks. From the Moment You See This Sensational College Park West Home in Seal Beach, You are going to Notice Pride of Ownership! There are 3 Bedrooms plus a Huge Bonus Room, 2 Bathrooms and Approximately 1771 Square Feet of Living Space. Features Include: a Large Living Room with a Brick Fireplace that Looks onto the Backyard, a Huge Bonus Room Upstairs with a Vaulted Open Beam Wood Ceiling, a Wood Floor and a Built-in Bar. Enjoy the Newer Beige Carpet. There is an Open Kitchen which includes Tile Counters, Wood Cabinets, a Garden Window and a Large Eat-In Dining Room. The Large Master Suite has Mirrored Wardrobes and a 3/4 Tiled Bath. You also get a Beautiful Large Backyard with a Covered Patio, a Block Wall and More. 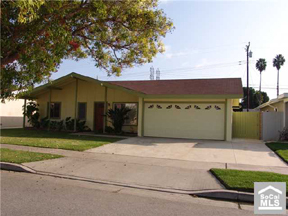 Situated in a Great Neighborhood in the Los Alamitos School District (Rated #1). The Homes in this Area are Rarely on the Market! Did you know you can still get a House in Southern California for under $300,000? Here is a Great Custom Home for the Money. There are 3 Large Bedrooms, 1.5 Bathrooms and Approximately 1301 Square Feet of Living Space on a Good Sized Corner Lot. Special Amenities include a Large Living Room off of the Patio, the Kitchen has a Built-in Range, Oven and Dishwasher. There's a Service Porch with a Washer and Dryer that Stays. You'll find Copper Plumbing in this Fantastic Property and Roll Up Garage Doors with an Opener, Workbench and Lots More!! Ideally Situated in a Great Area of Wilmington. Close to Schools, Steps to the Church and Nearby to Shopping, Dining and Freeways! FIRST TEAM REAL ESTATE, INC. SOLD!! BUT, I HAVE OTHERS!! Here is The Bolsa Landmark Plan 18 Home you have been looking for, that is Immaculate and Well Maintained. There are 4 Bedrooms, 3 Bathrooms and Approximately 1992 Square Feet of Living Space. One of the Bedrooms and a 3/4 Bathroom are conveniently located Downstairs. The Large Upstairs Master Suite has a New Vanity in the Dressing Area, Double Sinks, Lots of Mirrored Closets, a Full Bath with a Cast Iron Tub and Shower. There's a Spectacular Kitchen which Includes White Tile Countertops, Tile Flooring and a Portable Island. You'll enjoy the Large Living Room and the Dining Room which have Cathedral Ceilings, a Brick Fireplace, Scrapped Ceilings and Wood Shutters. Enjoy the Nice Large Backyard with a Patio Cover and Brick Planters. A New Composition Roof is a Great Feature to have and Don't Forget about your Very Own 3 Car Attached Garage! What More Could you Want? It's all here! Located in the Best Neighborhood, Close to the Beach, Wetlands, Excellent Schools and Central Park!! Now is the Time to Purchase a Sensational Dutch Haven Marina Home in a Fabulous Neighborhood. This 3 Bedroom, 2 Bathroom House has a Remodeled Kitchen with Corian Countertops and New Cabinets. The Living Room has a Vaulted Ceiling and Bullnose Corners. You'll find Tile Flooring in the Entry, Living Room, Kitchen and the Hallway. There's also a Brick Fireplace in the Living Room. Enjoy the Master Bathroom that has a Cathedral Ceiling. French Doors off of the Dining Room lead to the Beautiful Backyard. Another Highlight is the Newly Landscaped Front Yard. Don't Miss This One!! Close to Award Winning Hope View Elementary School and close to Parks, Shopping, the Wetlands, the Beach and Dining! PLEASE MENTION TO DIXIE THAT YOU SAW THIS WEBPAGE ON CALCOASTHOMES.COM! Huntington Beach is located in Orange County along the Pacific Ocean between Los Angeles and San Diego Counties. Huntington Beach includes nearly 9 miles of public beachfront with most homes located no more than a few miles distance from the beach. San Diego Freeway and three airports, John Wayne/Orange County Airport, Long Beach Airport and Los Angeles International Airport provide convenient transportations options for driving and flying to most destinations. Huntington Beach has consistently placed in the top ten safe cities for populations of around 200,000. Public and private schools, colleges and universities, the largest shopping mall on the West Coast at South Coast Plaza and a variety of entertainment and outstanding Events are all within just a few miles of your home.